Gamers can now sign up for the Tom Clancy’s Ghost Recon Wildlands Beta, a game in which they will venture as an elite U.S. operative, infiltrating in Bolivia to take down the Santa Blanca drug cartel. Last month, Ubisoft CEO Yves Guillemot stated that a beta for Wildlands would be released sometime around this week in order to get everyone excited for the launch date. Now, the beta has started alongside its trailer, trying to capture the ambiance and feel brought by other open-world third person shooters such as the GTA series, mixing it with what the Far Cry series has achieved with its tropical settings. Ghost Recon Wildlands Screenshot. Image credit: Ubisoft. To sign up for the Ghost Recon Wildlands Beta click here. 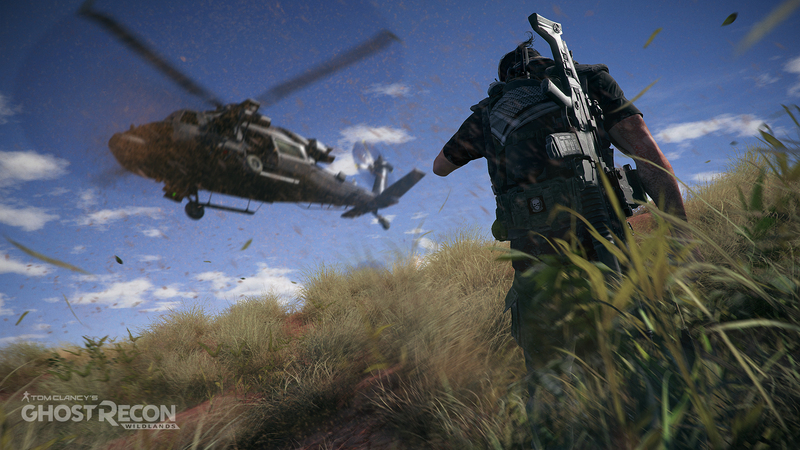 Ubisoft has also released a trailer titled “Mission Briefing,” where the player gets a short resume of what is to come in the lawless landscapes of Bolivia. The trailer invites players to take down targets in the order that they choose, enjoying full autonomy. Drones, rebels, planes, boats, bulldozers, and many more gadgets will be available to the player, who will take control of the Ghosts elite force. According to reviewers, the missions were not as complex as the trailer wants them to appear. For instance, the player is supposed to use a drone to survey the area and find the target, but what happens is that the location of the bad guy is automatically pointed out, and the “tactical advantage” makes the missions way too easy to complete. “Although we tried to embody different roles, the demo didn’t provide any mechanical support to help define them in a meaningful way. We all had the exact same loadout: suppressed pistol, sniper rifle, assault rifle. Unlike The Division, we didn’t have any unique skills, equipment, or weaponry to help us get our specific jobs done. It was the same rudimentary shooting experience for all of us,” wrote Tamoor Hussain for Gamespot after playing the E3’s alpha version. The beta version always shows a decent array of improvements over the alpha, and both of these versions can never be compared to the retail game that will hit the stores in 2017. The best solution is to go ahead and sign up for the Tom Clancy’s Ghost Recon Wildlands Beta to see what is this game about and what it brings to the table for strategy shooter enthusiasts. The game has been acknowledged as “the biggest open world that Ubisoft has created,” and “truly a sandbox, with 100 missions that you can take in any order. You can play them all alone, or with up to three friends,” by IGN’s Tom Senior. The game is expected to be released at a list price of $59.00, although new offers may appear before its launch date. Scheduled release date for PlayStation 4, Xbox One, and PC is March 7, 2017.